Mayor Eric Garcetti on April 8 released L.A.'s first-ever Sustainable City Plan (“pLAn”), a comprehensive policy roadmap that lays out ambitious short (by 2017) and long term (by 2025 and 2035) targets in 14 categories related to our environment, our economy, and equity, encompassing water conservation, clean energy, waste, green jobs, transportation, housing, and neighborhood livability. The plan also includes efforts led by the city’s Neighborhood Councils. Several members of the Neighborhood Council Sustainability Alliance (NCSA) were in attendance for the Mayor's announcement. The NCSA hosted its first public workshop in February 2015. 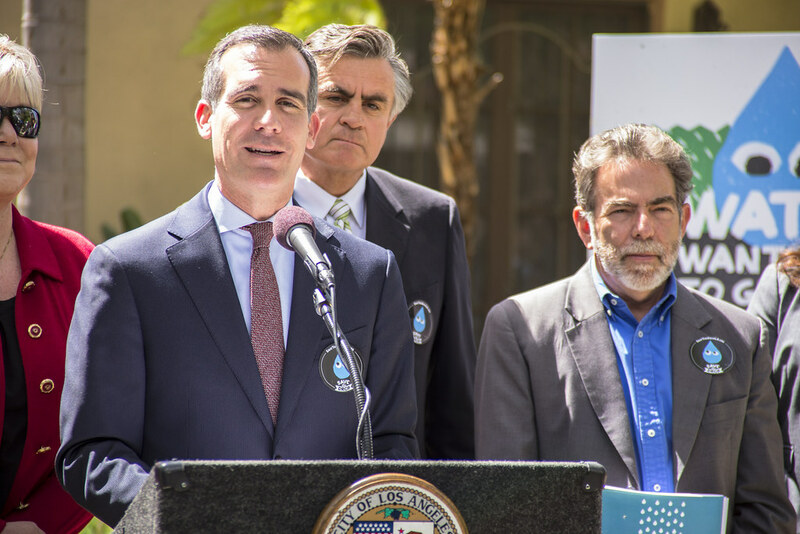 One day following the 14-category pLAn announcement, Garcetti announced the launch of the Save the Drop campaign, which addresses the Sustainable City Plan's water component and the historic drought. 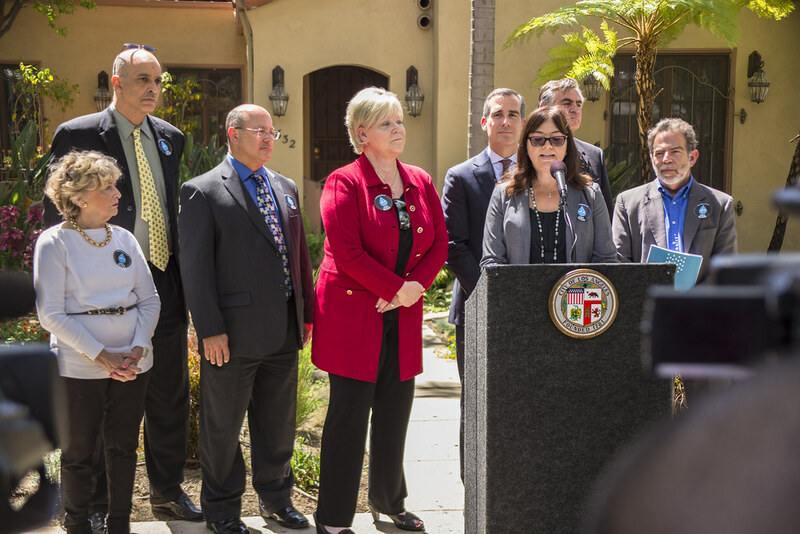 With the Mayor's executive directive on water conservation creating strong tools to reduce water use, including a $3.75 per square foot rebate for lawn replacement, Mayor Garcetti is now taking the necessary next step to connect Angelenos with those tools through an unprecedented outreach effort. Mack added the Save the Drop campaign will be one focus of the NCSA's next public workshop on May 16 from 1:30 to 4 p.m. at TreePeople, where it will share an overview of the campaign and facilitate a conversation with stakeholders on drought response outreach strategies. To view the complete Save the Drop campaign, visit http://www.savethedropla.org. To track City progress toward pLAn goals, visit: performance.lacity.org/sustainability. To see how other Angelenos are adopting the plan, use #planLA and #AdoptThePlan on Twitter and Facebook.